Background Picture is included (Public Domain). However, you can replace it easily with your own stock via smart object. Background picture: Double-click on the smart object layer « Double-click to edit », place your picture in the newly opened window and save. 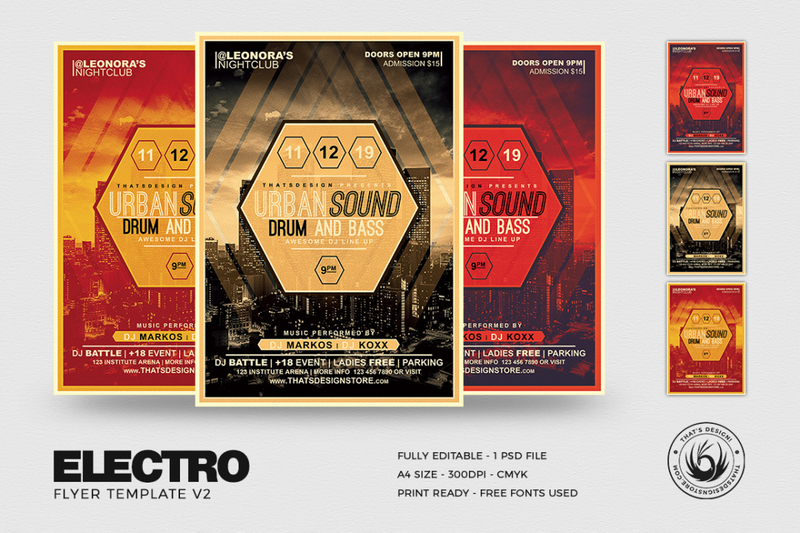 This Electro Flyers Template 2 was designed to promote a Clubbing or Electro Party, Dubstep, Alternative, Trance, House music event…Save time and money with our That’s Design Flyer Psd Templates.